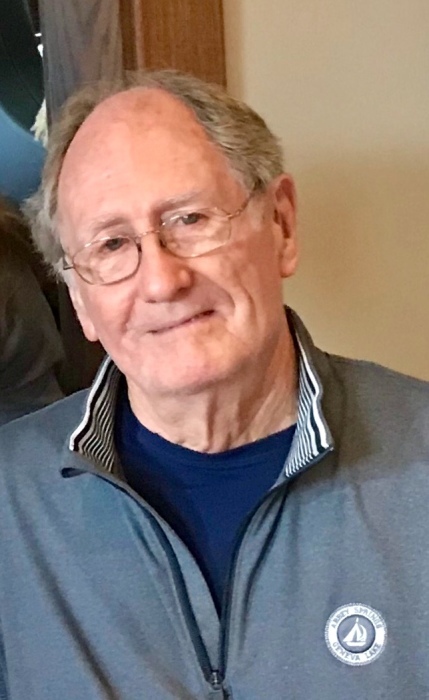 Claude Houston Trotter Jr., age 77, of Fontana, Wisconsin, passed suddenly on Friday, January 11, 2019 in Tucson, Arizona. Claude was born on November 20, 1941 in Phillips, Texas, the eldest of three boys. He graduated from the University of Kansas where he was a member of the Phi Delta Theta fraternity. In 1964, after marrying his college sweetheart, Sally (Brown) Trotter, Claude earned a master’s degree from the University of Michigan. Moving to Chicago, Illinois, he began a successful career with Sears, which took his family to Frankfurt, Germany and Mexico City, Mexico. After leaving the corporate world, Claude utilized his business insights and entrepreneurial spirit starting his own businesses and never stopped pursuing that passion. Claude and Sally “retired” in Fontana, Wisconsin, where he was often seen running, kayaking, biking or cross-country skiing around Abbey Springs. One of his favorite places to be was the golf course that conveniently backed up to his house. He loved being active and involved in his community, serving on various boards, golfing with friends, cooking with Sally and playing games with his grandchildren (pickleball being a particular favorite). He cherished his family and spending time with them. He will be remembered for his kind nature, contagious smile, and zest for life. Claude was the beloved husband of Sally; loving father of Kristen (Sean) Oakley and Claude (Julie) Trotter; devoted grandfather of Joshua, Samantha, and Megan Oakley, Ryan and Mia Trotter, and dear brother of David (Marcia) Trotter and Don (Vickie) Trotter. He is preceded in death by his parents Claude and Ann Trotter.